Mexicans reacted with anger and indignation to the disappearance and possible murder of 43 young students of a teachers’ college near Iguala, in the Southern State of Guerrero, on September 26. Meanwhile, relatives of the students waited to hear whether 28 dismembered and burned bodies found in a mass grave just outside Iguala are indeed those of their loved ones. The students, from a teacher training college, the Ayotzinapa Rural Normal School, had gone to nearby Iguala, a city of about 110,000 people, to raise funds for a campaign of resistance to “educational reform” plans of Mexican President Enrique Peña Nieto which they fear will degrade and eventually eliminate teacher training programs like theirs. When they were getting ready to leave Iguala, the three buses which they had obtained for the ride home were attacked by what appears to have been a coordinated force of hit men from a regional gang and local police from Iguala. Two of the students, and several bystanders, were killed outright and the remaining 43 disappeared. Two have surfaced alive, but many fear all the rest were murdered. It cannot be assumed that the 28 bodies in the mass grave are theirs, firstly because they were burned beyond recognition, secondly because nobody trusts the local people in charge, and thirdly because since former President Felipe Calderon, at U.S. behest, declared “war” against drug cartels in 2006, up to 100,000 have been kidnapped and/or murdered and there are many, many mass graves. In Guerrero, there is a long history of protest and revolutionary uprisings in which teachers have often played a part. Since the system of training schools in the countryside was originally set up by President Lazaro Cardenas del Rio in the 1920s (the Rural Normal Schools, Escuelas Normales Rurales), they have been seen as a threat by some, because they have turned out teachers who come from the indigenous and poor communities and are committed to educating those communities, including using bilingual education methods with non-Spanish speaking native communities. The state of Guerrero, with about 3,500,000 inhabitants, is named for Mexico’s second president, Vicente Guerrero, who was an African-Mexican of very advanced views for his day. It contains an ethnic and linguistic mixture including more than 20 indigenous language communities and also the main concentration of African-Mexican people in the country. It has a violently dramatic history, reaching up to our own times. Much of the conflict has been between poor peasant communities against big landowners and local political bosses backed by national and international power centers. Even today, the Human Development Index in Guerrero is the third lowest of Mexico’ 31 states. 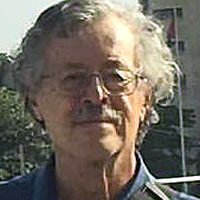 In the 1960s, a teacher, Genaro Vazquez Rojas, organized peasants and workers. Police suppressed peaceful dissent, so Vazquez and friends ended up as guerrillas in the mountains. Vazquez was captured and died in 1972. Another teacher trained at one of President Cardenas’ Normal Schools, Lucio Cabañas, was involved in unionization efforts but fled to the mountains to join Genaro Vazquez when a strike he led was violently suppressed. In 1974, Cabañas was killed. Out of these efforts arose the People’s Revolutionary Army which has continued in arms in the mountains of Guerrero and neighboring regions, sporadically clashing with security forces. 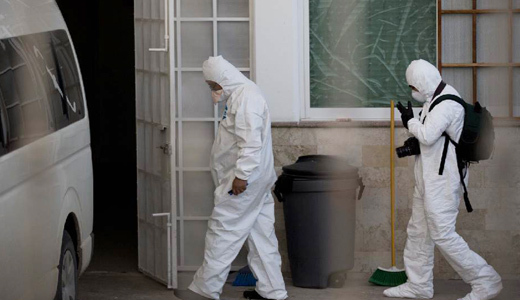 Political assassinations carried out at the behest of the powerful still are common, as in the case of several organizers affiliated with the Communist Party of Mexico a little over a year ago. So the idea that local landowners, businesspeople, and political bosses would find militant, organized students in teacher training schools threatening is not so strange. Nor is it strange that the national government would try to put an end to the normal school institution-it is a significant focus of resistance and struggle against neo-liberal policies. But the anger that has been let loose in all of Mexico by the kidnapping and probable murder of the students in Iguala has politicians scrambling. The municipal president of Iguala, Jose Luis Abarca, has fled, and the nominally leftist Revolutionary Democratic Party (PRD) to which he belongs is in the process of kicking him out. The attorney general of Guerrero has denounced the incident and declared that the whole municipal and police structure of Iguala is riddled with criminals. The governor of Guerrero, Angel Aguirre Rivero, is a former member of President Peña Nieto’s Revolutionary Institutional Party (PRI) who jumped to the PRD in order to get their support for his election; he has denounced the incident in Iguala but many are calling for his removal.